This might not sound totally normal to most, but I still haven’t brought down my maternity clothing from our attic from my first pregnancy, and I have 3 months left. I’m really happy about it, too. And, I hope I don’t have to, either. Sounds weird, I know, but at 6 months pregnant, I’ve gained 11 pounds, and I hope to only gain 10-12 lbs more. Now, I will admit, I did buy 3 pairs of maternity jeans (I’ll do a post on those as well) when I first found out I was pregnant. Most of my maternity pants were work attire related with my first pregnancy. So, as of a few weeks ago, I’ve been strictly wearing those, but, I’m still in my normal size tops. Thank goodness. I know that won’t last forever, but I plan to make it last as long as possible. In case you’re new to my blog, I gained WAY more weight than I’d like to admit with my first pregnancy. I know exactly why, too. I was working then (slammed every day, but on a side note: I LOVED my job), and the hubs and I ate takeout pretty much every single night with little to no exercise, because by the time I got home from work, the last thing I wanted to do was cook a gourmet meal. This pregnancy has been totally different & just as busy albiet in a different way. I’m still just as busy chasing a toddler/running a household, but I’ve completely changed my eating habits for the better. After having our first baby, my goal was to get down to my wedding weight again, and when I found out we were expecting our second baby, I actually had reached my goal! Yay! So, ever since then I’ve been petrified of gaining anything more than the medical recommended weight gain during pregnancy which is between 20-25 pounds. So, since I’m right on track to only gain the recommended amount, I’ve decided that I’m not going to buy maternity clothing, I’m going to buy clothing I’ll love, post baby. 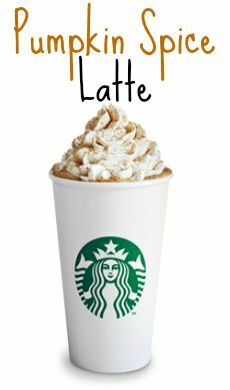 Not only does it keep me in check when I want to go grab a handful of candy corns, it also gives me something to look forward to after our little bundle of joy is here. Below are a few things I’ve added to my closet for later, and a few things I’ve got my eye on that I’d love to buy as well. 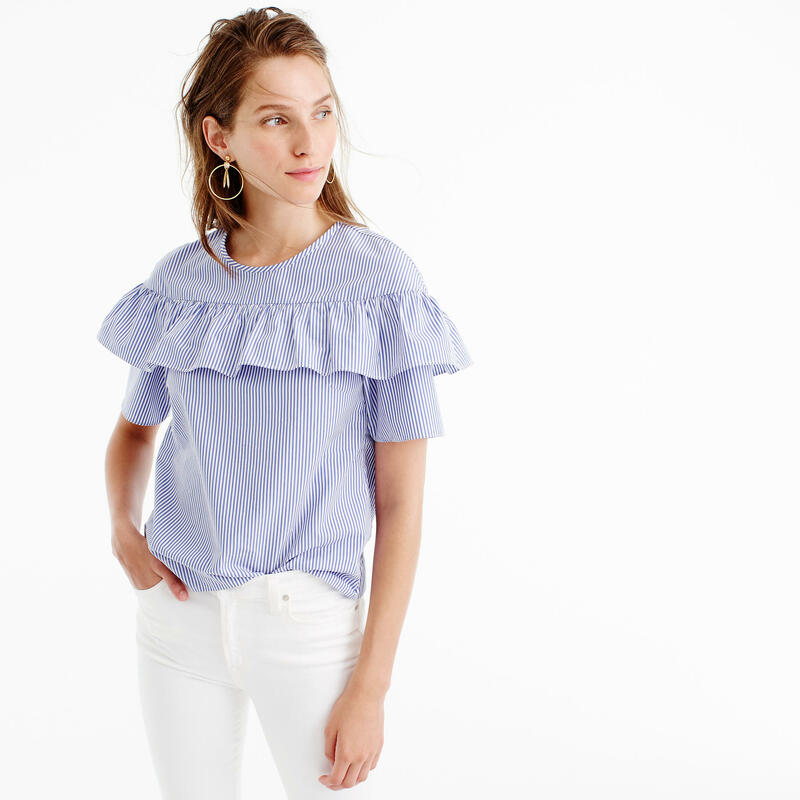 This top is darling. I love the classic blue & white stripe with the twist of a ruffle. I know I’ll wear this top on repeat after the baby is here for many years! I clearly have a weakness for ruffles (and peplum). This sweater is going to look so chic with white jeans post baby! I can’t wait to wear it this winter! 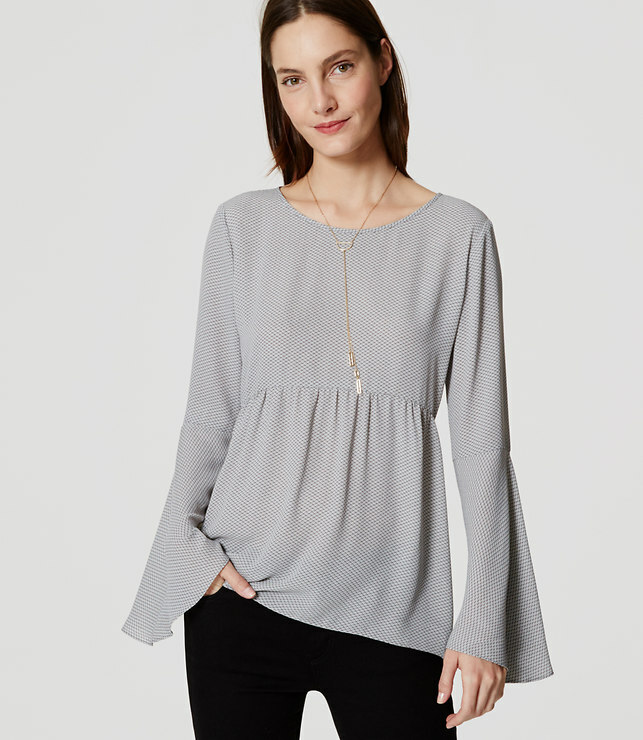 Hands down, this top is a real winner if you’re expecting. I’m actually wearing this exact top right now, and it’s still has plenty of growing room, too. I also bought it in the navy. The peplum & the bell sleeve mix feels fresh for Fall. I wore this with my j.crew white maternity jeans to our preschool parent’s night, and felt like I was wearing a normal outfit! Snag it on sale, and it’s an even better buy for now and later, trust me. You can’t go wrong with these pants. 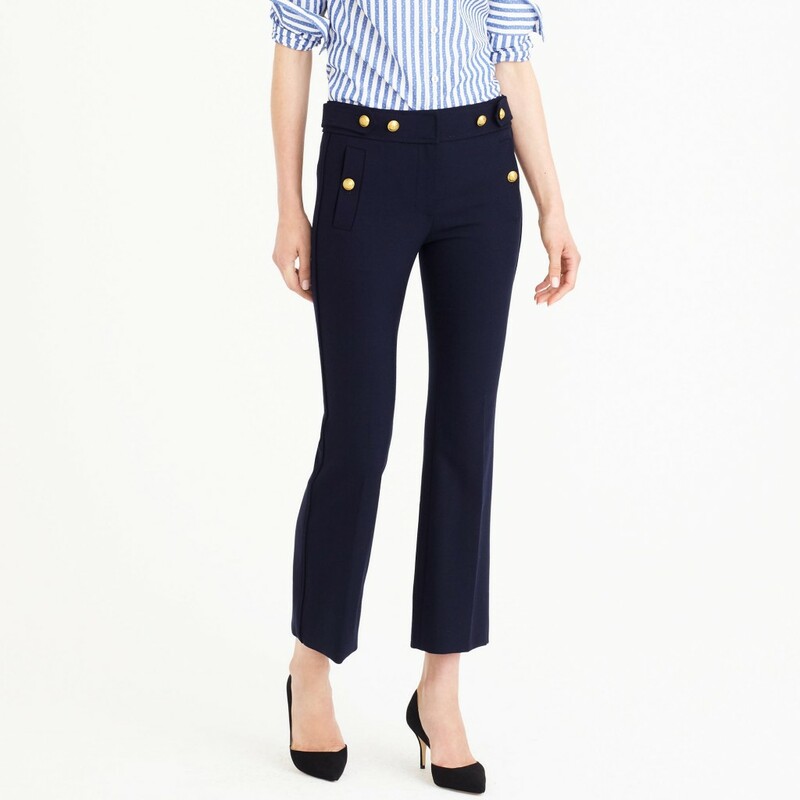 I think the gold buttons add a classic finish to an otherwise ordinary looking pant. I know I’d wear these for many years. This dress is timeless. 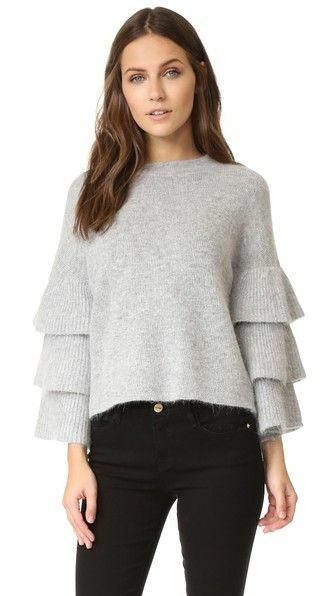 I adore the feminine ruffle finish, and you can never go wrong with a turtleneck when it’s freezing outside. I’m just dreaming of days when it’s freezing outside again, clearly. Hello Gorgeous! 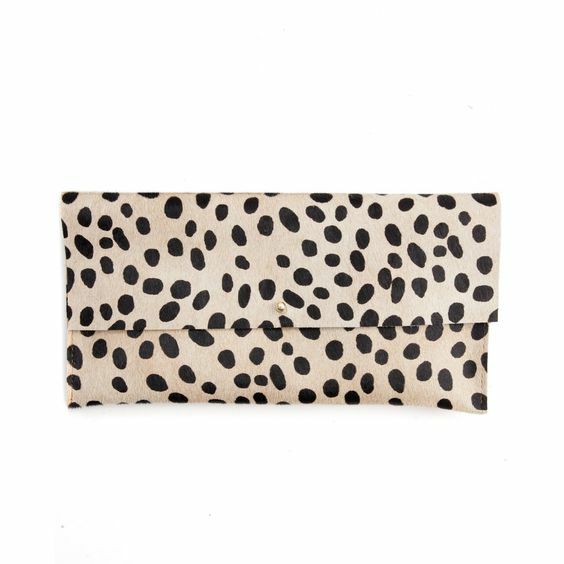 I’d love to add this to my date night clutch collection! I also may or may not have already bought my winter coat for this year…oops! I blame it on the fact that if you don’t buy something when you see it, it’ll be gone before you know it. Trust me. And while I love blogging, and reading my favorite blogs, that’s the only downside to these blogs these days, things sell out so quickly. It’s great for the vendors though!